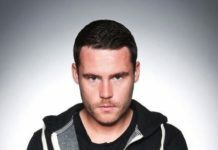 EMMERDALE EPISODES: The fall out of Cain’s confession to Debbie Dingle continues as the police get involved along with the rest of the village. 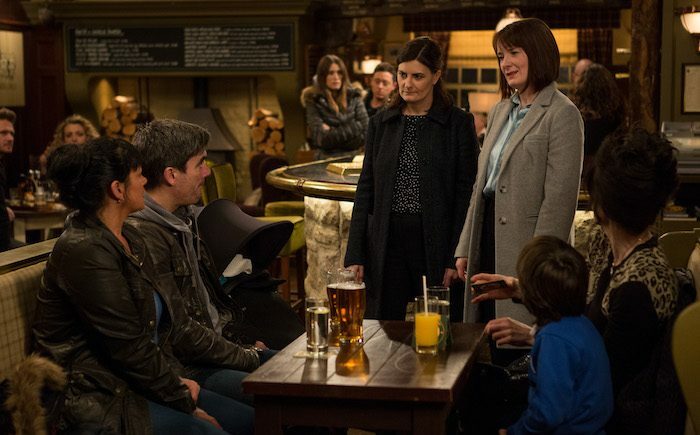 But its Cain’s nearest and dearest who are most affected. 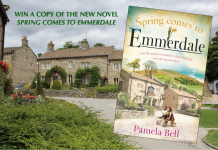 Bob finds himself out of options and homeless, while Victoria tries to sort out Ellis and Billy’s problems before discovering one of her own. 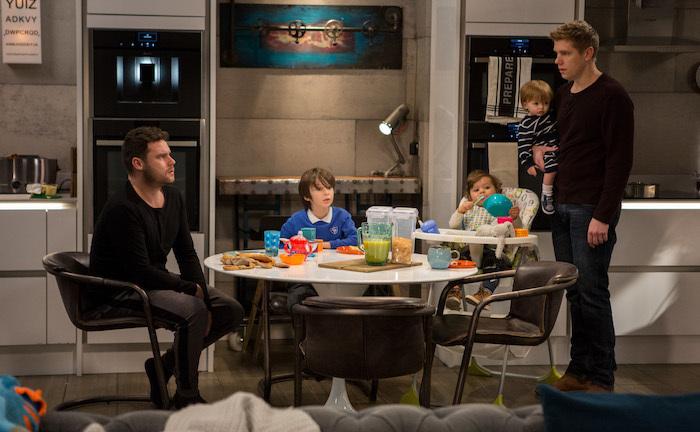 Meanwhile, Robert and Aaron’s plans to spend time together are thwarted by those pesky kids…and a pig! 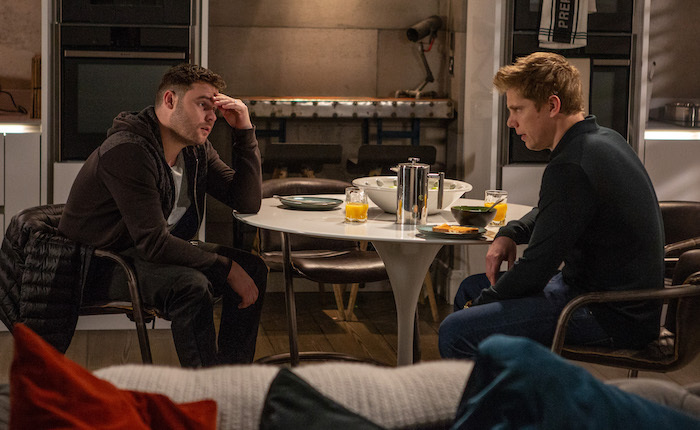 Mon 21 Jan 2019: Aaron and Robert Sugden Dingle plan to spend a quiet evening together but they get interrupted. 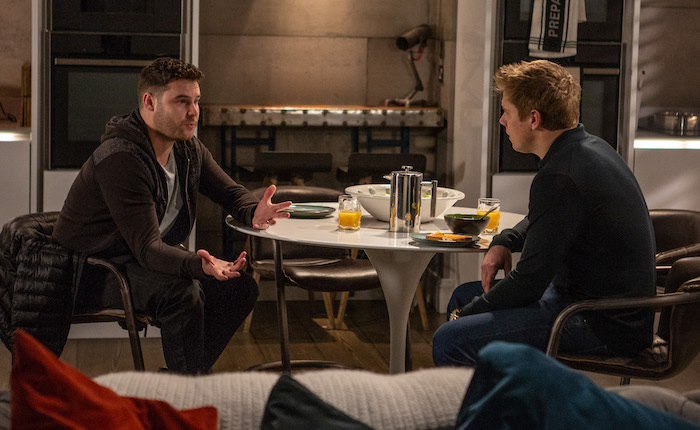 Mon 21 Jan 2019: Robert despairs when Aaron arrives with Kyle and Issac in tow. 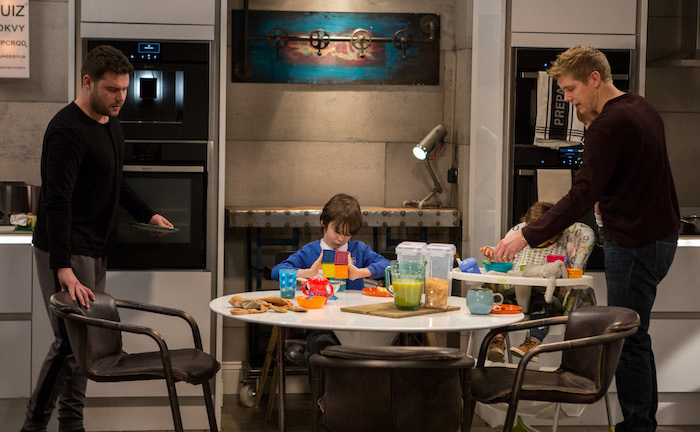 Not long after Liv arrives with the piglet! 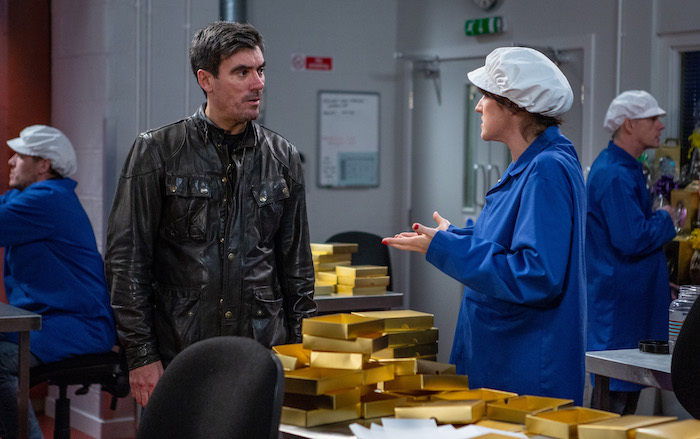 Tues 22 Jan 2019: Cain Dingle bumps into Charity Dingle and Vanessa Woodfield – and they’re not happy! 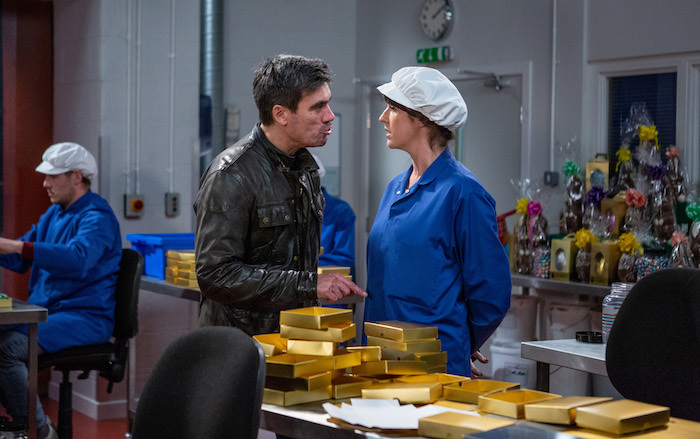 Tues 22 Jan 2019: Vanessa Woodfield confronts Cain Dingle about trying to kiss Charity Dingle. 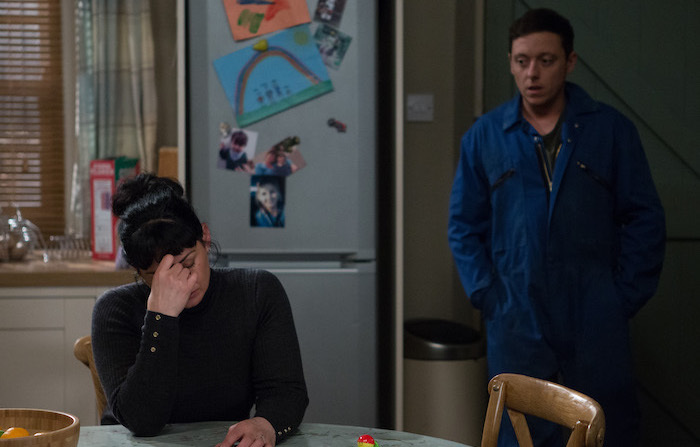 Tues 22 Jan 2019: Overhearing, Debbie Dingle is disgusted to hear what Cain’s done now. 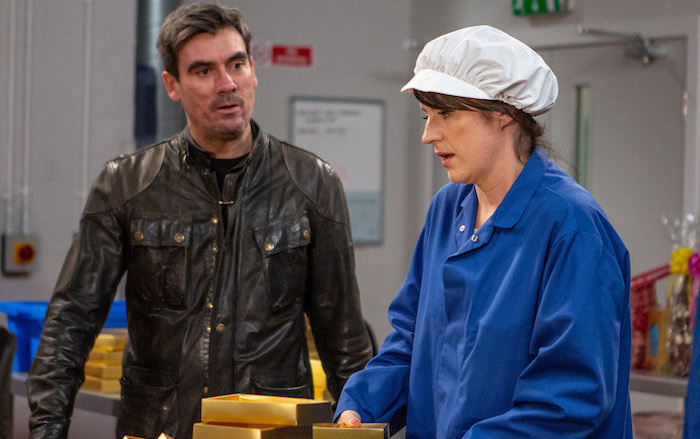 Tues 22 Jan 2019: Optimistic Aaron Dingle reckons Moira Dingle and Cain will work things out. 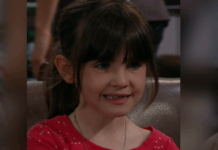 Tues 22 Jan 2019: A grim Moira Dingle knows she has a big decision to make. 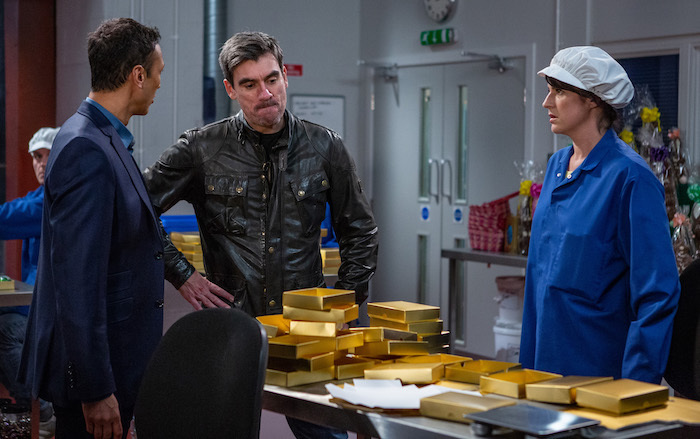 Tues 22 Jan 2019: When Cain Dingle refuses to go with the police, they arrest him for Joe’s murder. 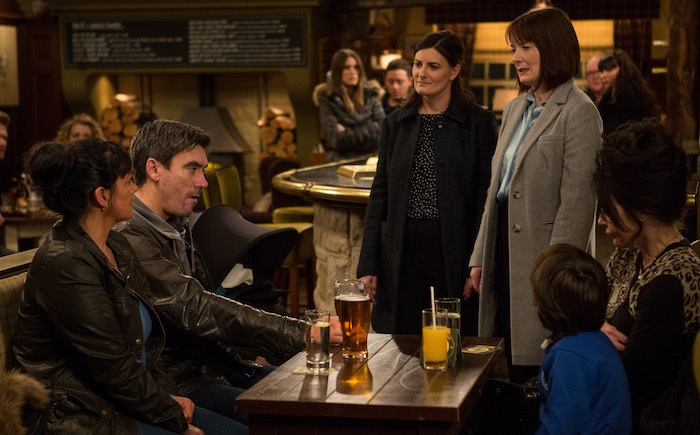 Tues 22 Jan 2019: The villagers in the Woolpack are shocked as Cain Dingle is arrested for murder. 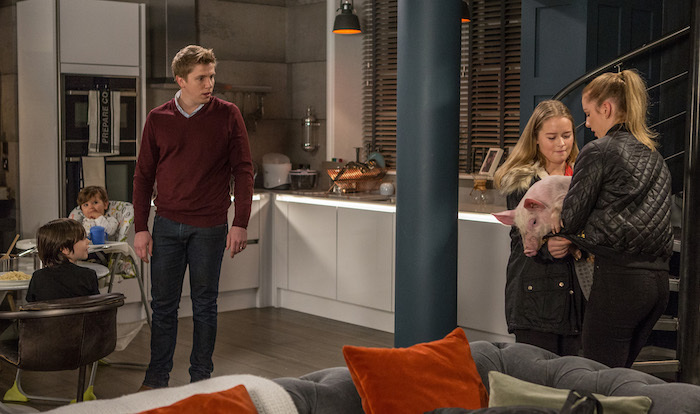 Tues 22 Jan 2019: Aaron and Robert Sugden Dingle have their hands full when they looks after Kyle, Issac and Seb… and a piglet! Wed 23 Jan 2019: With nowhere to stay and no money, Bob Hope has been sleeping in the pub. 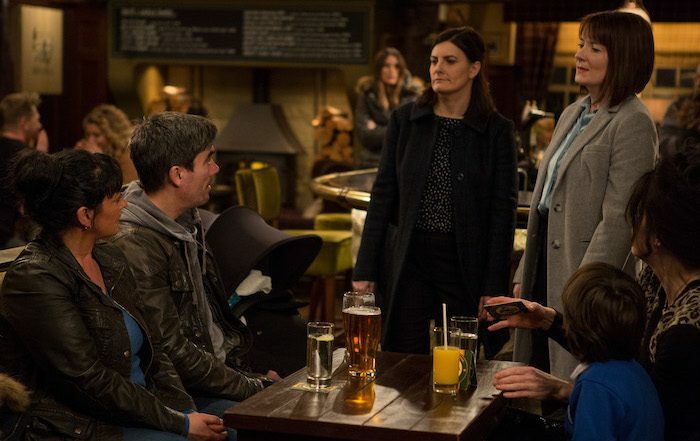 Wed 23 Jan 2019: Bob Hope is almost caught sleeping in the cellar by Chas Dingle and Charity Dingle. Wed 23 Jan 2019: How will Bob Hope explain his night in the cellar and where will he go next? 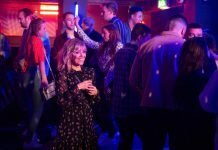 Wed 23 Jan 2019: An emotional Victoria Sugden is exasperated by Billy and Ellis’ bickering. 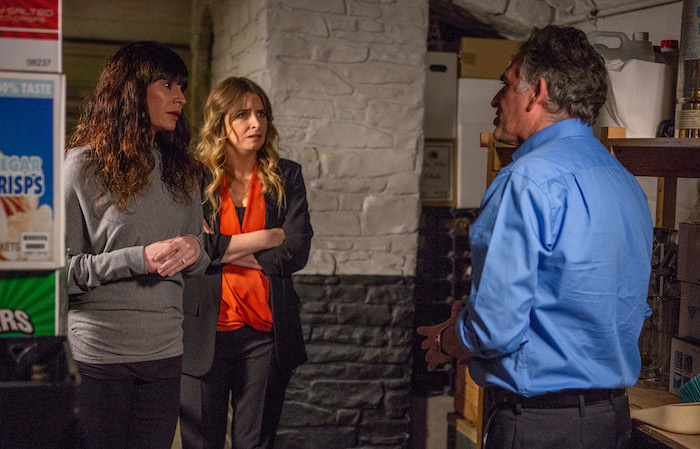 Wed 23 Jan 2019: Victoria Sugden locks Ellis Chapman and Billy Fletcher in the Portacabin to sort out their differences. 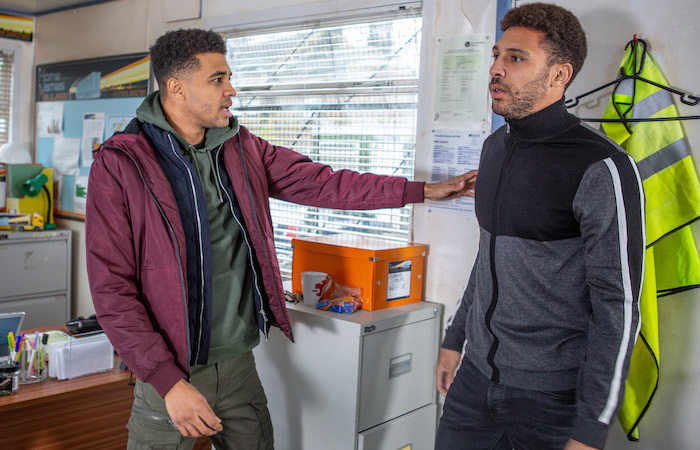 Wed 23 Jan 2019: Ellis is anxious for his brother as Billy begins to have a panic attack. 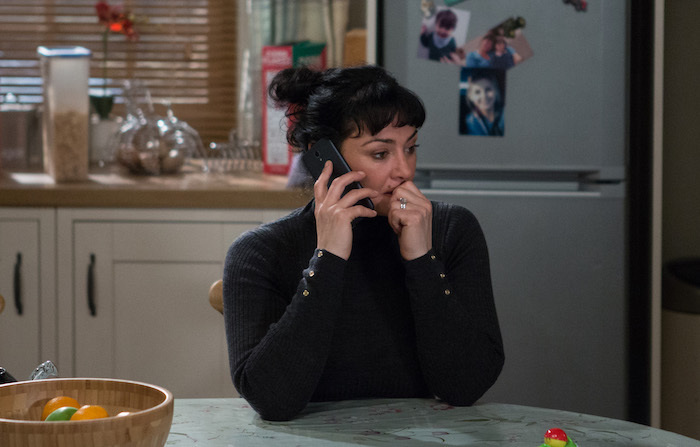 Wed 23 Jan 2019: Fraught Moira Dingle tries to get an update on husband Cain. 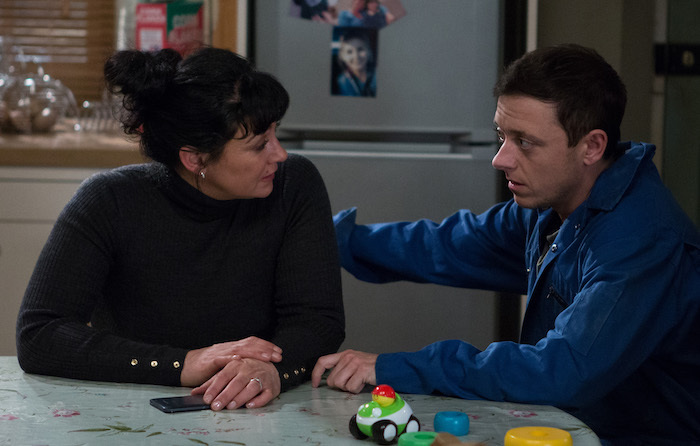 Wed 23 Jan 2019: Matty Barton is disturbed by Moira’s support for Cain Dingle. 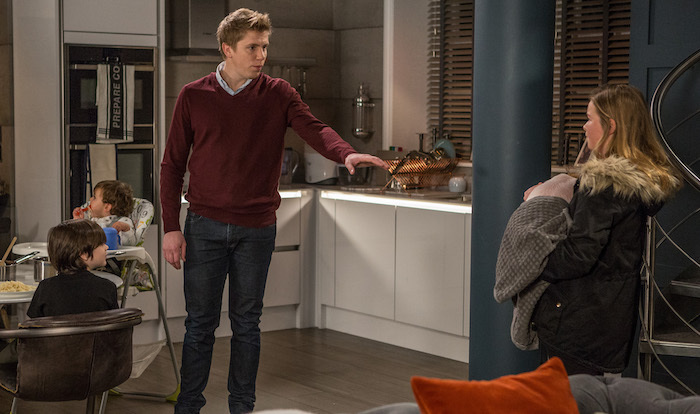 Wed 23 Jan 2019: How will Matty react to Moira’s plans for the future? 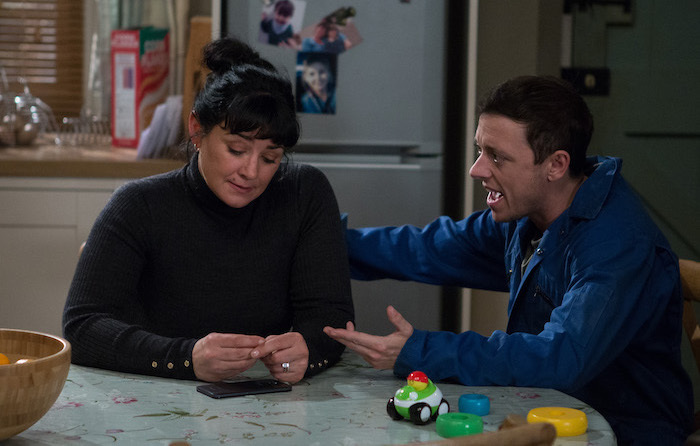 Wed 23 Jan 2019: Will Moira Dingle listen to Matty Barton’s advice? 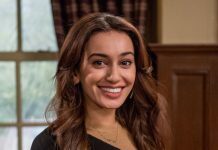 Thurs 24 Jan 2019 – 7pm: Manpreet drops hints to Rishi Sharma about going to live at Holdgate. 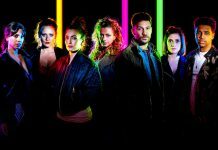 Thurs 24 Jan 2019 – 7pm: Will Rishi Sharma take the hint and invite Manpreet to live at Holdgate? 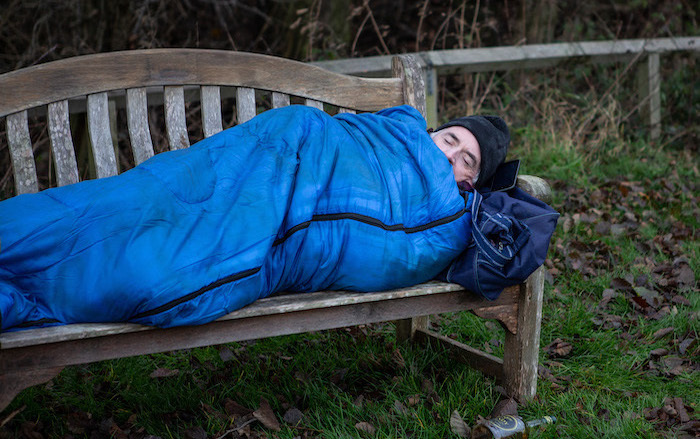 Thurs 24 Jan 2019 – 7pm: Bob Hope wakes up next to the river after bedding down on a bench the night before. 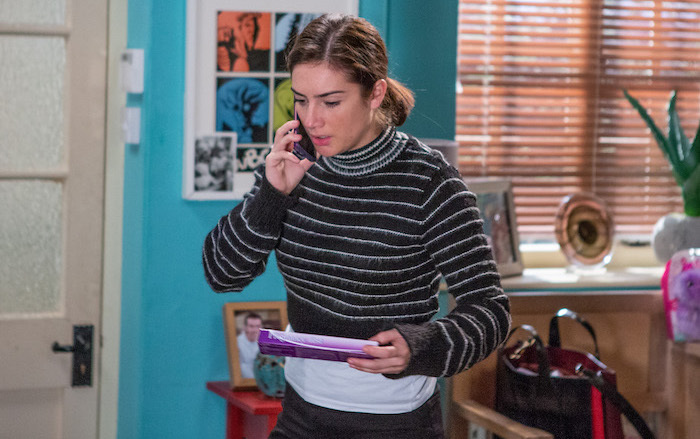 Thurs 24 Jan 2019 – 7pm: Victoria Barton leaves an urgent message for Ellis but when Marlon and Jessie Dingle come barging down the stairs she panics and throws a pregnancy test under the sofa. 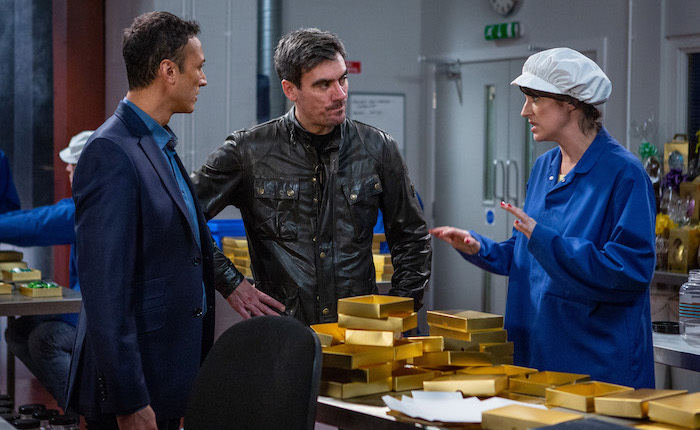 Thurs 24 Jan 2019 – 8pm: Kerry Wyatt stands her ground with Cain Dingle despite his pleas. 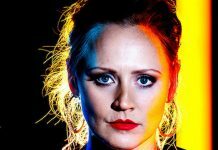 Thurs 24 Jan 2019 – 8pm: Kerry Wyatt insists Kyle is staying with her following Cain’s arrest. 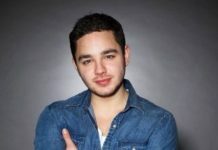 Thurs 24 Jan 2019 – 8pm: As Cain Dingle’s temper flares, Jai Sharma steps in to support Kerry Wyatt. 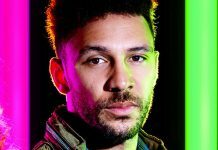 Thurs 24 Jan 2019 – 8pm: Despite his demands, Kerry Wyatt remains resolute about keeping Kyle with her. 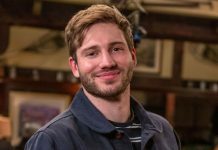 Fri 25 Jan 2019: Anxious Aaron Sugden Dingle is cagey as he leaves Mill Cottage. 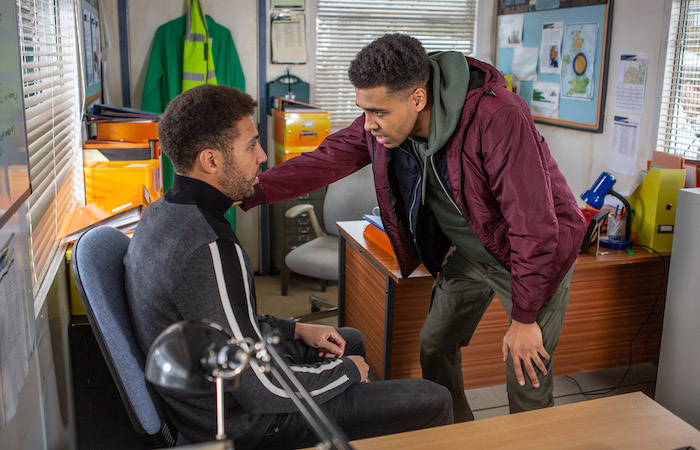 Fri 25 Jan 2019: Robert confronts Aaron when it’s clear he’s scared of running into Billy Grant. 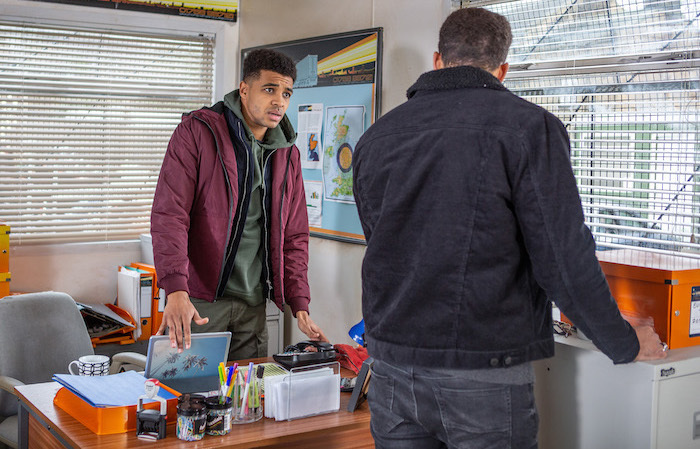 Fri 25 Jan 2019: Jai Sharma and Priya Kotecha try to convince a stubborn Rishi Sharma to ask Manpreet to move in.